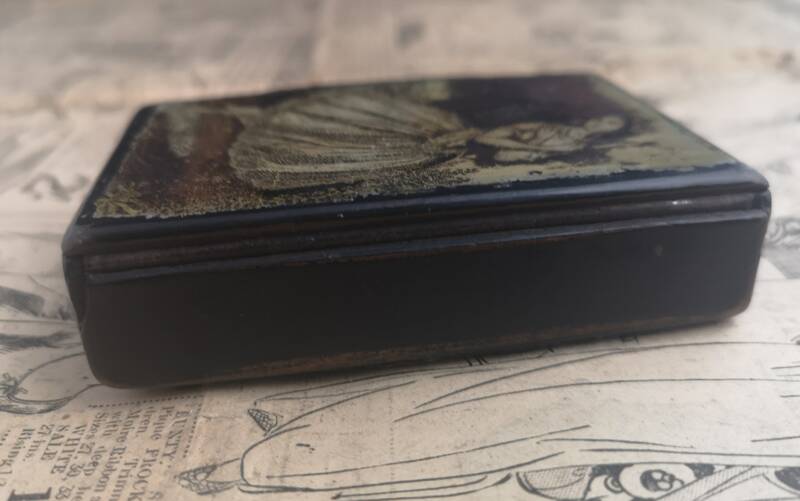 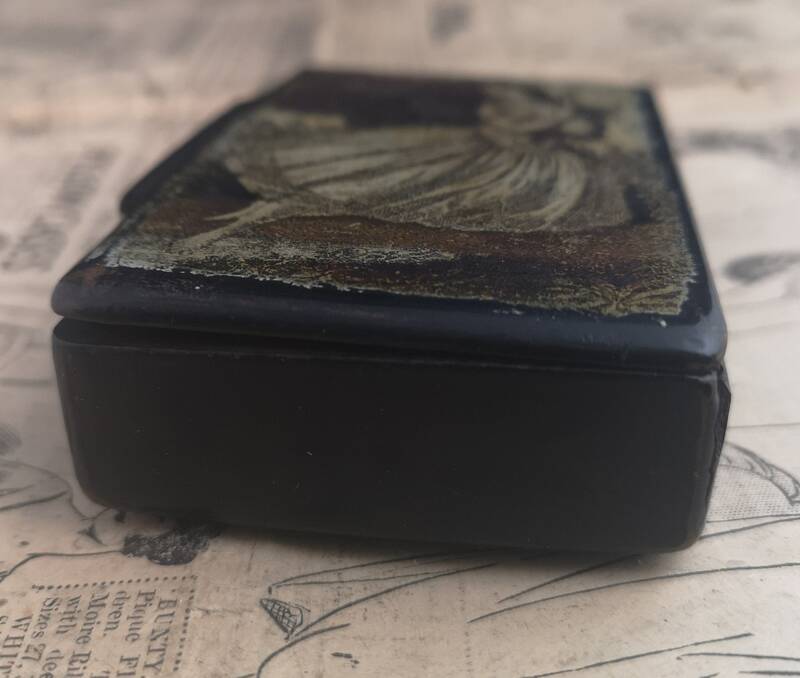 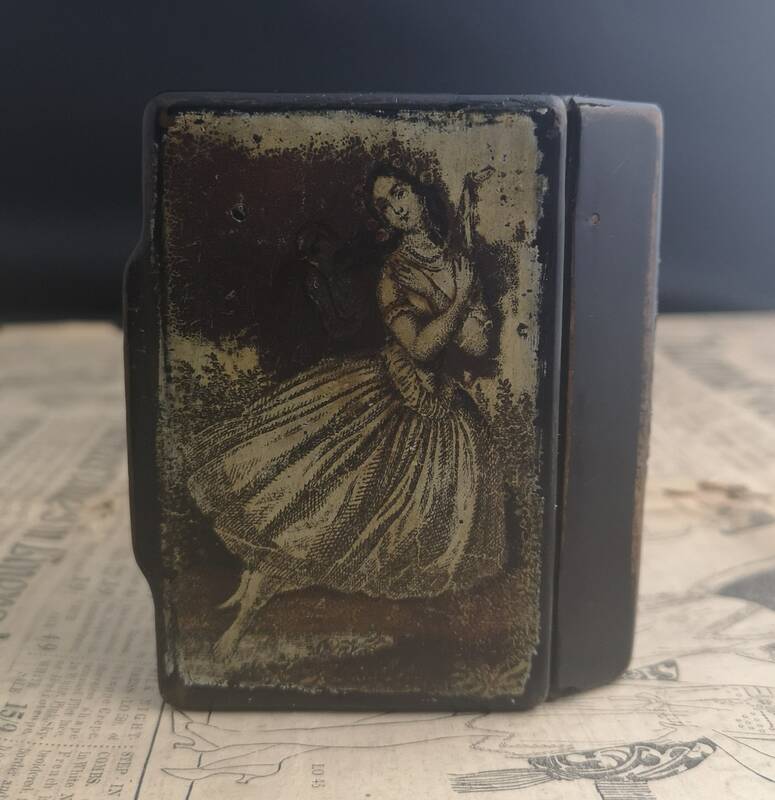 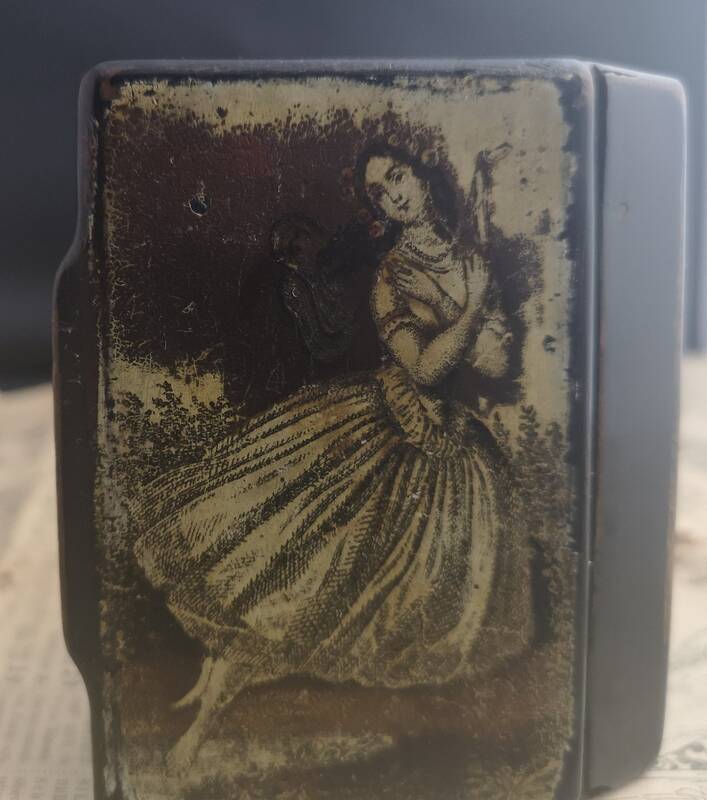 Made in England from papier mache with a transfer printed scene on the lid of a maiden / fairy. 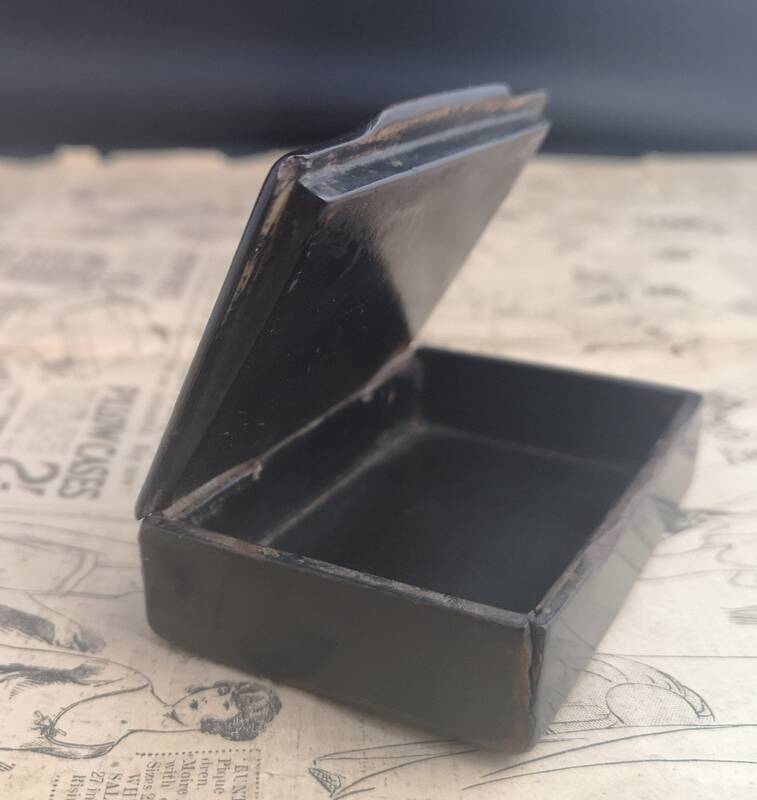 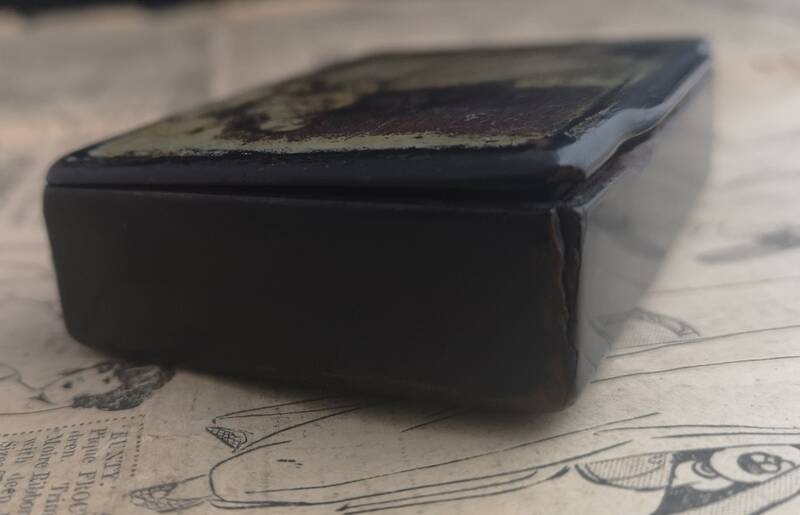 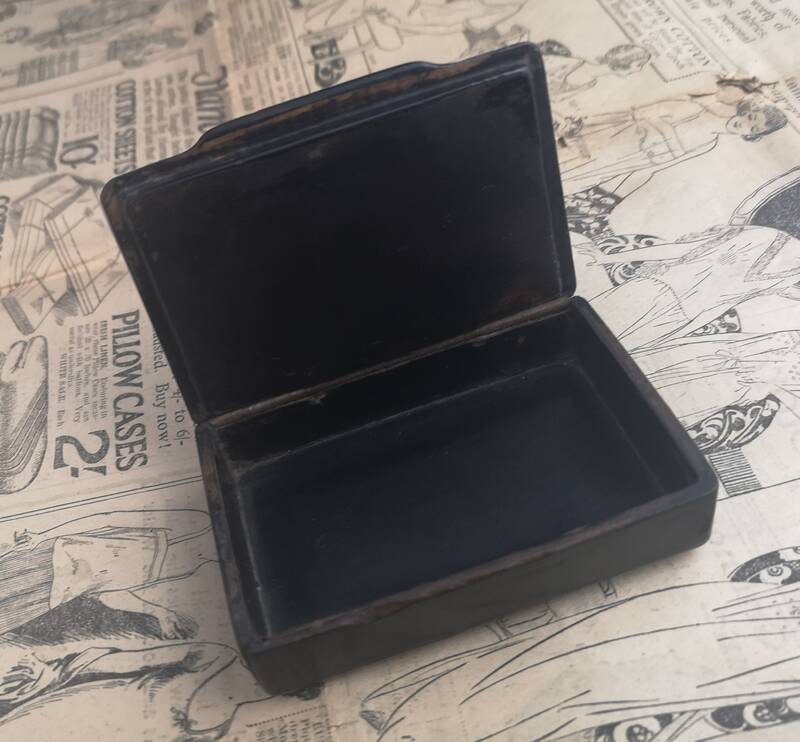 The colours are sepia and the main body of the box is black lacquer. 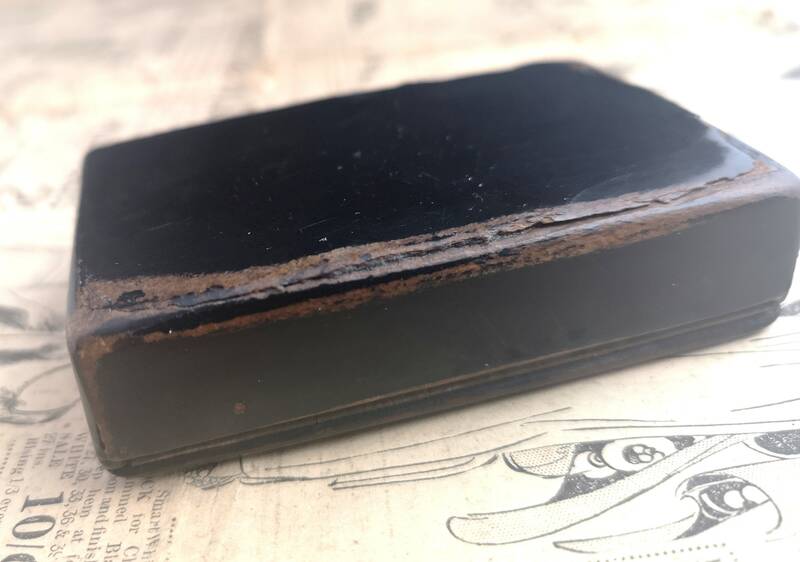 Condition is fair, it has a lot of wear to the transfer printed lid, it's had a lot of use, it is structurally sound though, some chips to the papier mache on the base.